Perfect Malaysia was established in year 2003, currently located in Kuala Lumpur, the largest city and capital of Malaysia. 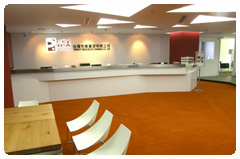 Perfect Resources (HK) Limited was founded in 2001. Hong Kong is the financial center of Asia, so it is important to set up a branch in this cosmopolitian city. 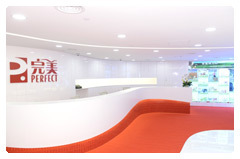 Our office is situated in Tsim Sha Tsui, amongst high end luxury retail stores. A nod to the premium branding of Perfect. 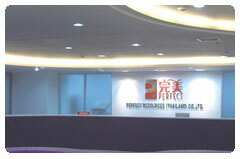 Perfect Resources (Thailand) Co., Ltd. was founded in 2003 and located in the capital of Thailand, Bangkok. Bangkok is also one of the economic centers of South East Asia. In choosing Bangkok as the main base in Thailand, Perfect will have a strong foundation to expand our business to other regions of Thailand. PT. 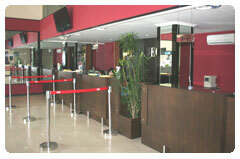 Perfect Resources Indonesia was founded in 2004 with its office in the capital Jakarta. Jakarta is the political, economical and cultural center of Indonesia. Its also the main traffic point between the Pacific Ocean and the Indian Ocean. As a testament to our rapid growth in Indonesia, PT. Perfect Resources Indonesia setup a new branch in Surabaya, Indonesia in August 2007. 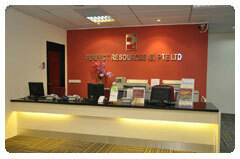 Perfect Resources Indonesia have over 20 stockists across Indonesia to serve our customers’ needs. Perfect Resources (S) Pte. Ltd. was found in 2004. Singapore, despite being a small island state, is one of the leading developed nation and financial capital in South East Asia. The population places strong emphasis on healthy living and Perfect products are ready to meet their needs. In August 2009, Perfect Resources (Taiwan) Co., Ltd received the approval to set up operations from the Taiwan Free Trade Commission. Taiwan distributors who had the opportunity to visit Perfect (China)’s facilities in Zhong Shan and Perfect Hong Kong were impressed by the sophisticated production facilities and modern management. Within a short span of 6 months, through the combined effort of both Perfect Resources Taiwan and our distributors, we have established a strong presence in the Taiwan direct sales industry. In continuing Perfect’s tradition of doing charity work and contributing to society, Perfect donated NT$10 million in aid of the victims of the Marokat typhoon that hit on 8th August 2009. Perfect also actively encouraged Overseas Chinese across the globe to donate generously to this cause. 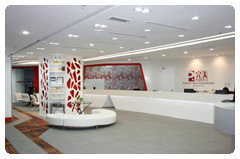 Perfect Global (Vietnam) Ltd. was inaugurated in July 2012. Its office is located in the heart of Ho Chi Minh City, Vietnam, one of the economic centers of South East Asia, With its fast growing economy, Vietnam is an important new market in Perfect’s International strategy.